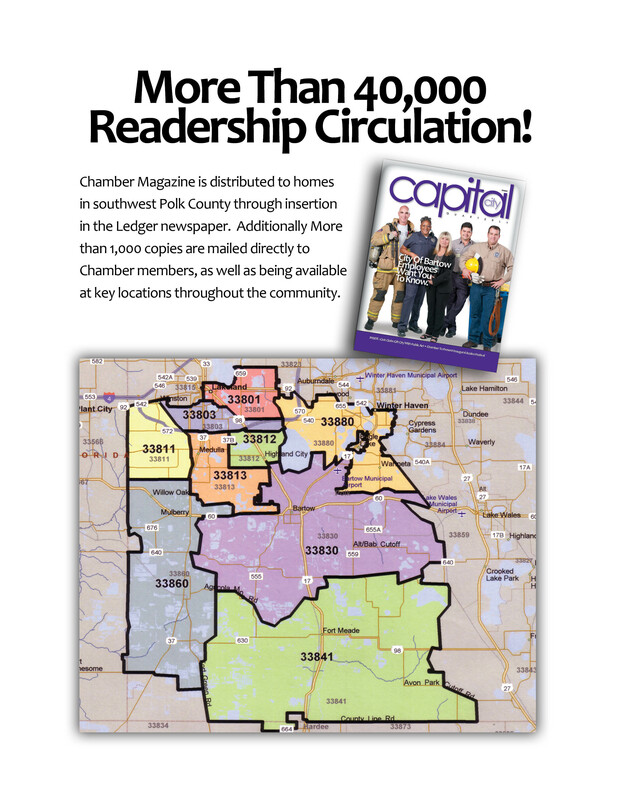 Capital City Quarterly is the Chamber Membership Directory magazine that also contains event and organization information pertinent to Bartow and the surrounding communities. The magazine is published four times a year, enabling the Chamber’s membership directory to be update and complete. If you are interested in advertising in this publication that covers more than 40k homes in this area, contact Kathryn Bevilacqua-Ely at 863-533-7125 or email her here for more information.